It must be so liberating to be able to work really large, and in multiples. This one is looking great. Beautiful drawing! Love the line and tones. liberating and terrifying – keeping me awake at night !! wow thanks so much Rosie really appreciate your support – such a challenge ! Looking at your drawings makes me want to draw more regularly again. I kind of got sidetracked at the river! Love the energy in the marks. Wonderful – I love the energy in your drawing. What a courageous girl you are to catapult yourself into working on such a very large scale…. 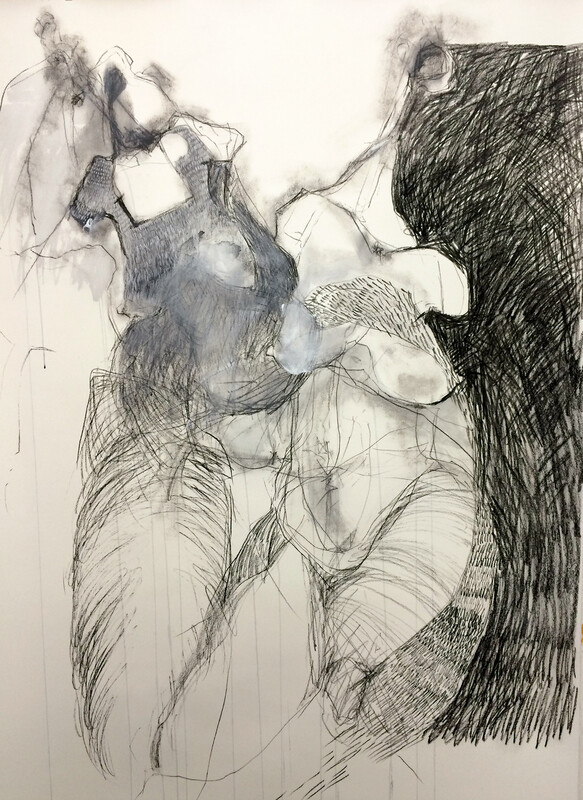 but I love the fluidity and spontaneous sketchiness of your drawings Veronica! Lovely idea also, to try to amalgamate all of your drawings together on the one wall so that they all appear to feed into and from each other! Beautiful work and congratulations on your exhibit at the Roma Regional Gallery! thanks Jacquie – yep all I need now is a large enough wall 🙂 already running out of space !! Just beautiful lines. It is amazing what you able to do with line.